The NFL’s best cornerbacks can go one-on-one with the best wide receivers in the league and can play man coverage on an island if needed. Here’s a look at the NFL’s highest-graded cornerbacks in man coverage in 2018. 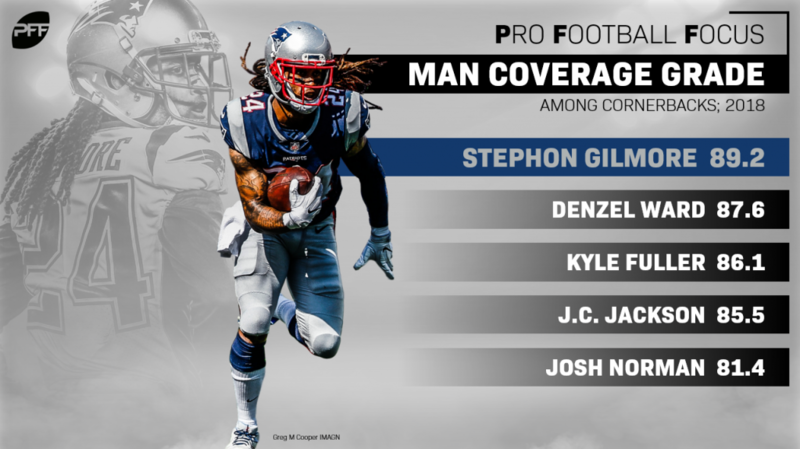 Gilmore was both the highest-graded overall cornerback (90.9) and the highest-graded man coverage cornerback (89.2) in 2018. In man coverage specifically, he allowed a league-low 35.6 completion percentage and a league-high 32.2 forced incompletion percentage. He was truly in a league of his own. Ward’s rookie campaign was remarkable. 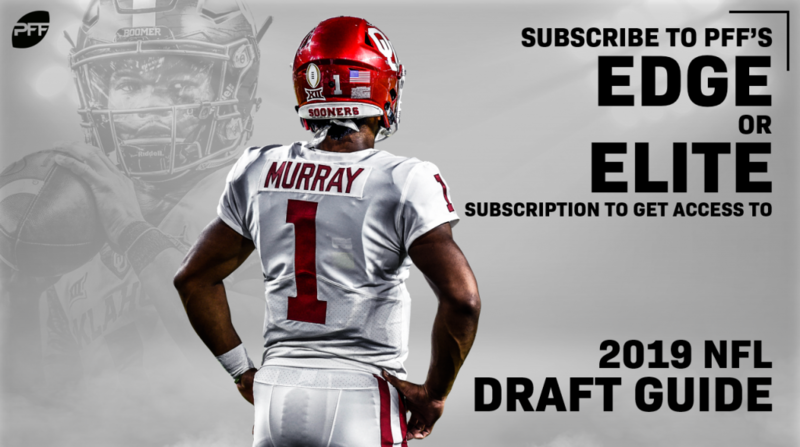 The former Ohio State standout earned the second-highest coverage grade (87.6) and the eighth-lowest passer rating allowed (67.1) in man coverage a year ago. He also ranked second behind Gilmore in first down percentage allowed at 21.1%. Intercepting three passes in man coverage a year ago, Fuller ranked third in coverage grade when in man (86.1) and allowed just nine first-down receptions. He was also one of few cornerbacks who played 100-plus man coverage snaps and didn’t miss a tackle. Coming in as the second Patriots cornerback on this list, Jackson turned in quite the year as an undrafted rookie out of Maryland. He ranked fourth in coverage grade (85.5) and first in passer rating allowed in man coverage this past season. Now 31 years old, Norman isn’t the same guy he was when he earned a career-high 85.7 overall grade in 2015, but he still knows how to get the job done in man coverage. His 81.1 coverage grade in man coverage looks ranked fifth among qualifying cornerbacks in 2018.